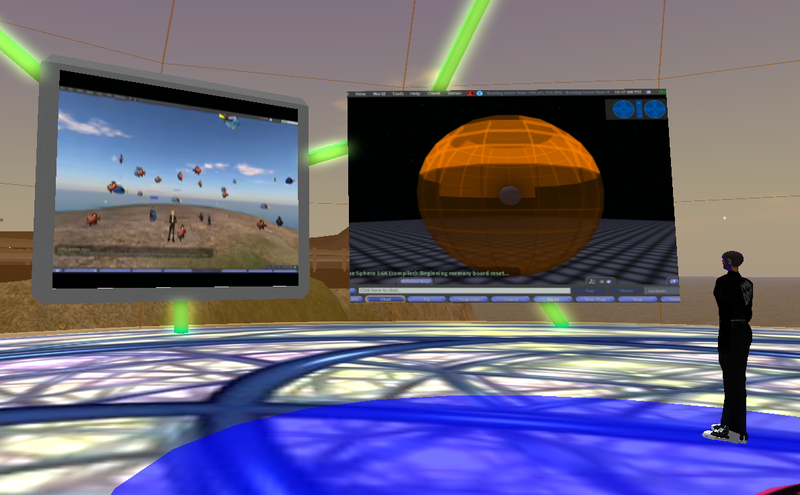 On March 6, 2009, a team of BGSU students created a new simulated island for the BGSU Virtual Campus. 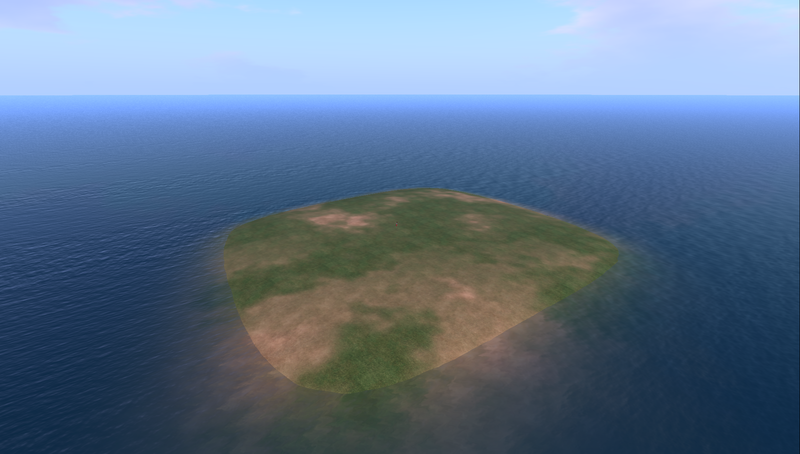 The new island, dubbed BGSU Exploration, was created using the open source software called Open Simulator (http://opensimulator.org/), the same software that runs Second Life. 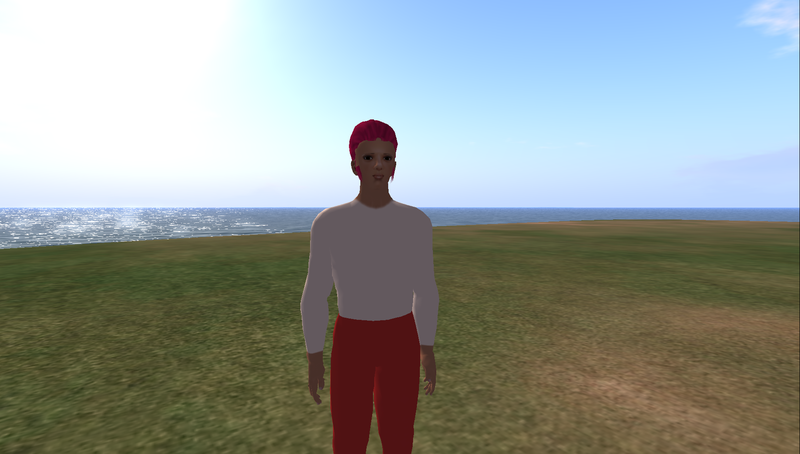 The first resident of this island was named BGSU Sif and was used to test access to this new virtual property. 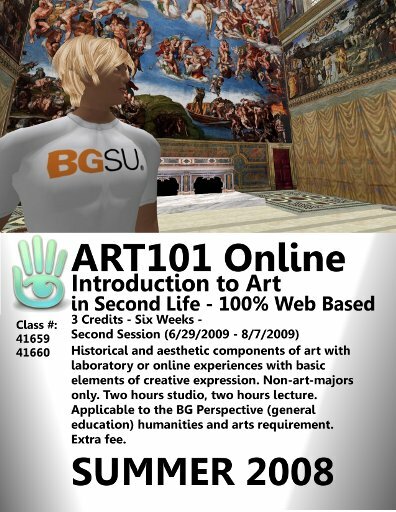 The BGSU Virtual Campus team, along with Dr. Hassan Rajaei from the Department of Computer Science, are looking into the potential of OpenSim. Currently, BGSU Exploration is reserved for testing and experimentation. It is hosted on a University server supported by the Office of the CIO and dedicated to the BGSU Virtual Campus. What’s new on Interaction Island! 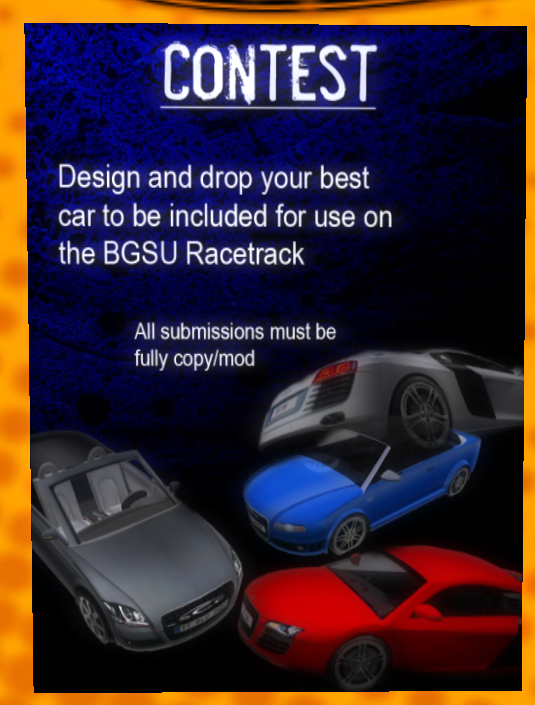 First, the BGSU Virtual Campus is sponsoring a contest to build new racecars for our racetrack. Anyone in Second Life is eligible to apply. 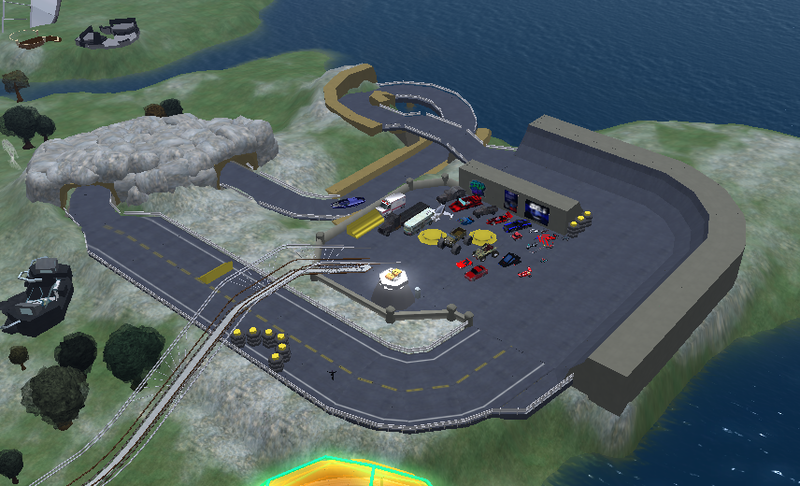 The best entries will be featured on the Interaction island racetrack. The Virtual Campus Planetarium was one of the first interactive exhibits on our original island. 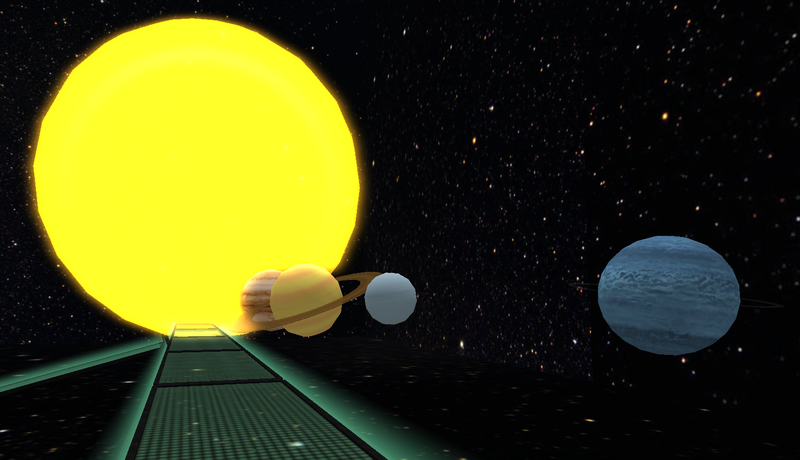 We are currently looking for faculty, staff, students or Second Life residents who would be willing to add additional content to the Planetarium. This could include useful links to web content, a recorded mp3 or video walkthru, or anything else related to our solar system. Our Researcher in Residence, Dr. Lance R. Williams has been working on the BGSU Virtual Campus for over a year. His research deals with using the Scheme Programming Language in Second Life and using SL scripts for distributed computing. Dr. Williams will be visiting the RL (real life) campus on April 16th & 17th. 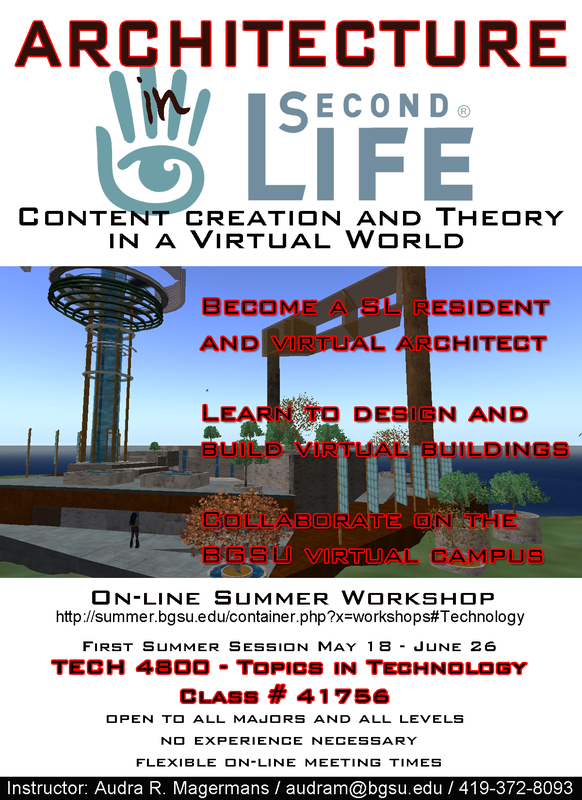 He will have two lectures about his work in Second Life, one for a general audience and also a Computer Science Colloquim for more specific in-depth information. Comments Off on What’s new on Interaction Island! 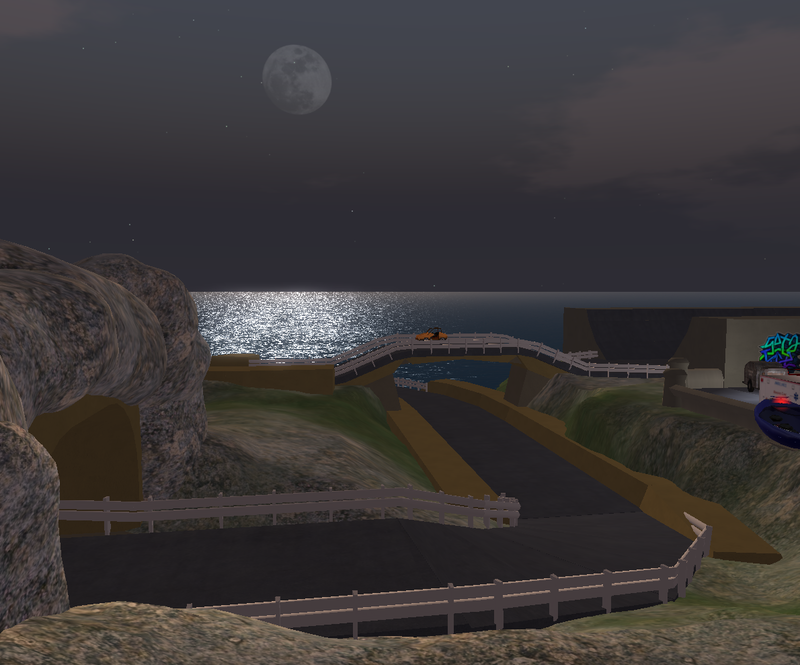 I wanted to invite you to the 2009 Thinkbalm Un-Lecture at our island on Feb. 27th 2009 within Second Life. This will be held at our Designing Digitally Inc. island. If you click on this link you can register and will automatically land on our island. Please pass this along to any and all that would be interested in attending. Of course it is free, and you will have the ability to network and to listen to some very interesting topics around educational learning in virtual spaces. Please see the details below. I hope to see you all there!!!! We’ve added another speaker to the agenda for the third installation of the ThinkBalm Innovation Community’s “un-lecture” event series. This series is designed for members to share things they are working on, learn about exciting projects others are up to, and build valuable connections. All presentations, demos, and tours are on topics related to using the Immersive Internet at work. Each presentation is 10 minutes long or shorter. Where and how: Designing Digitally island in Second Life (SLURL here) — thanks to Andrew Hughes of Designing Digally for hosting. We will use Second Life voice. RSVP: By replying to this email. Please include your Second Life avatar name if we don’t already have it. Andrew Hughes will give each attendee a landmark so we can teleport to an interactive science lab built by Sycamore High School (Cincinnati) seniors.